Walt Eilers Terrapin Philanthropy | Growing Philanthropy. 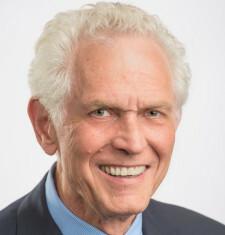 Walt Eilers is President of Terrapin Consulting. Walt brings fifteen years of marketing and sixteen years of fundraising experience to the firm. He specializes in communications and branding strategies, grants research and writing, feasibility and needs assessment research, non-profit board development, team development and strategic planning. He provides full-service fundraising, communications and development consulting services to a range of clients – libraries, food banks, universities and social service groups. Walt is actively supervising fundraising projects with University of Arkansas Community College Morrilton, West Texas A&M University, Catholic High for Boys, Little Rock and Salvation Army, Mountain Home. He has been a teacher, not-for-profit executive, marketing research specialist, corporate senior executive specializing in marketing research in wireless and broadband communications. He is applying his organizational skills as the President of the Botanical Gardens of the Ozarks in Fayetteville where he lives with his wife Linda.